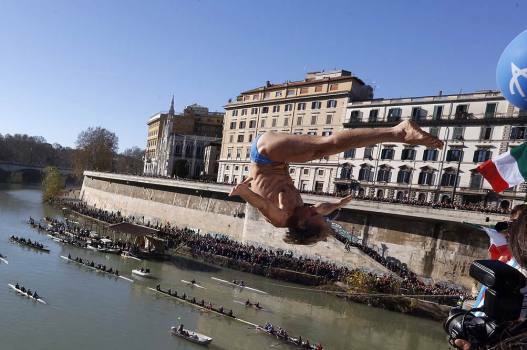 Simone Carabella, of Italy, prepares to dive into the Tiber river from the 18 meters (59 feet) high Cavour Bridge during the traditional annual New Year's day dive, in Rome. 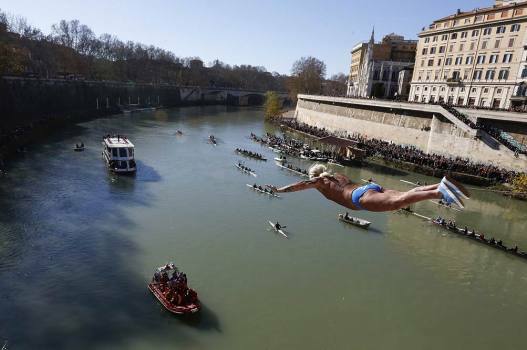 Maurizio Palmulli, of Italy, dives into the Tiber river from the 18 meters (59 feet) high Cavour Bridge in Rome. 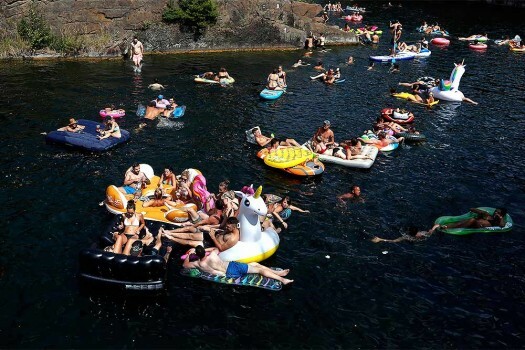 Spectators on their inflatable mattresses enjoy a warm day during a cliff diving competition near the village of Hrimezdice, Czech Republic. 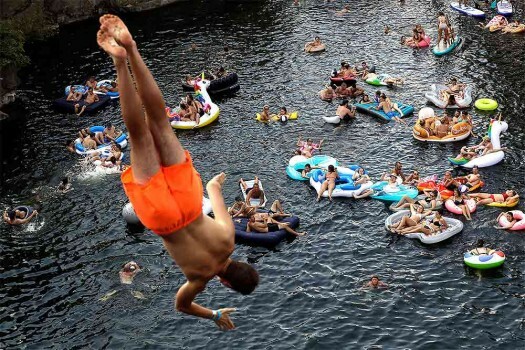 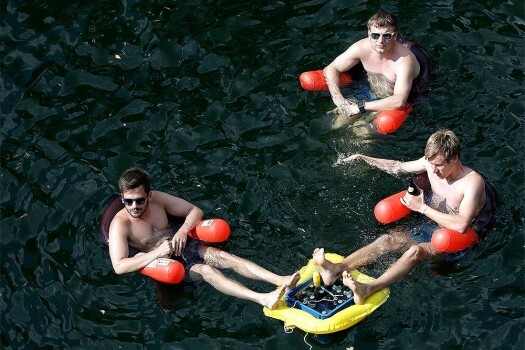 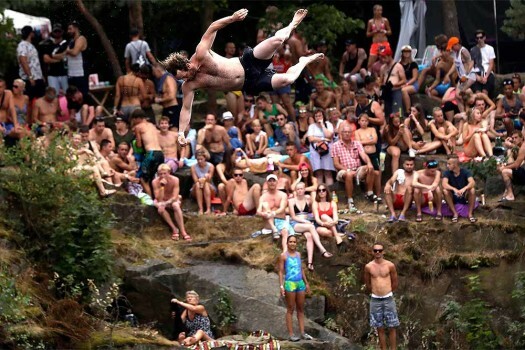 Spectators cool their beer on a warm day as they watch a cliff diving competition near the village of Hrimezdice, Czech Republic. 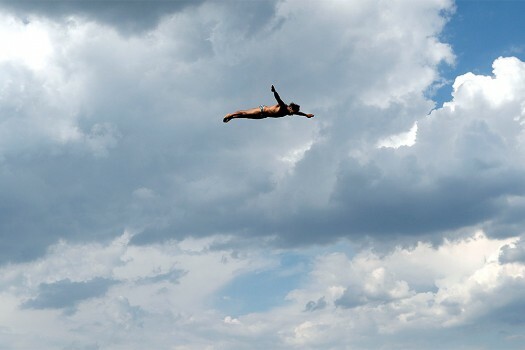 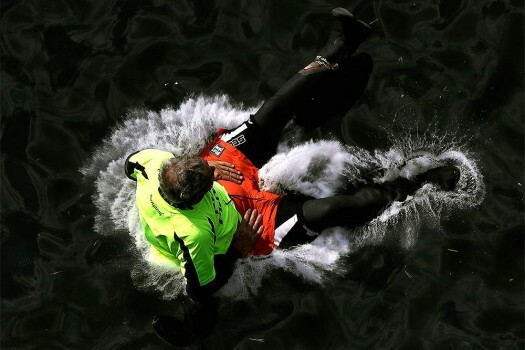 A competitor jumps into water during a cliff diving competition near the village of Hrimezdice, Czech Republic. 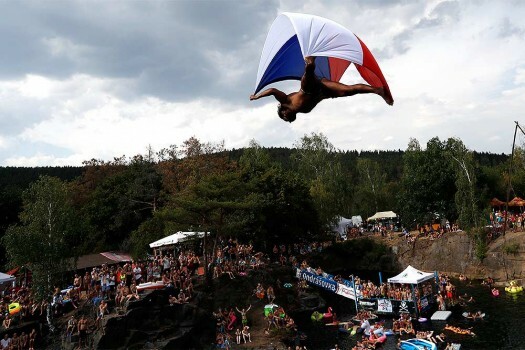 A competitor, holding a Czech national flag, jumps into water during a cliff diving competition near the village of Hrimezdice, Czech Republic. 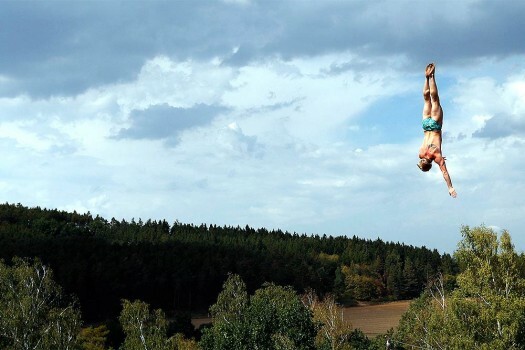 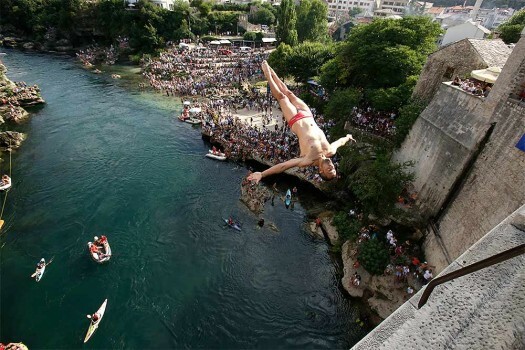 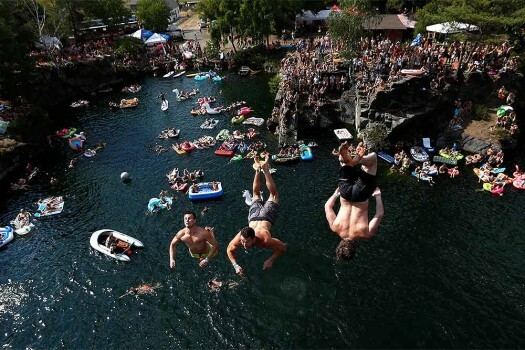 Competitors jump into water during a cliff diving competition near the village of Hrimezdice, Czech Republic. 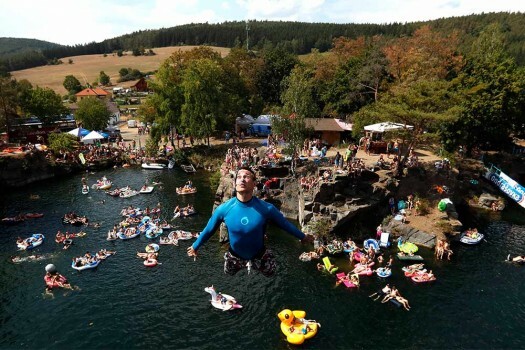 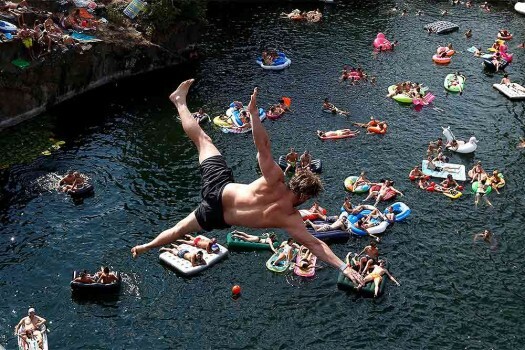 Spectators on their inflatable mattresses watch as competitor jumps into water during a cliff diving competition near the village of Hrimezdice, Czech Republic. 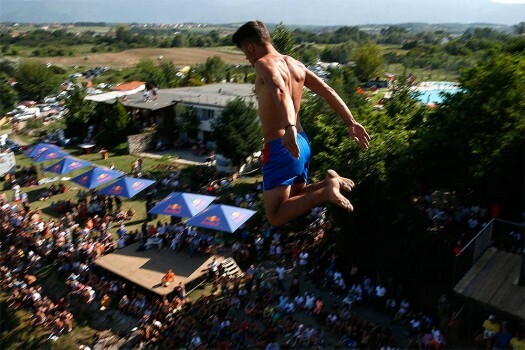 A diver performs a free style jump as he launches from the Ura e Shejnt bridge during the 68th traditional annual high diving competition, near the town of Gjakova, Kosovo.